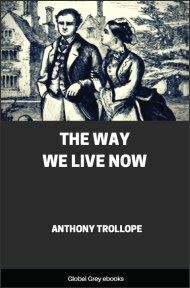 The Way We Live Now is a satirical novel by Anthony Trollope. 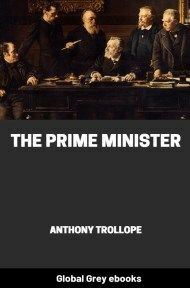 It was inspired by the financial scandals of the early 1870s; Trollope had just returned to England from abroad, and was appalled by the greed and dishonesty those scandals exposed. 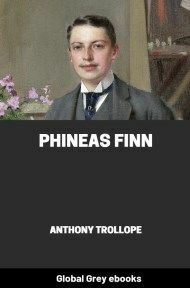 This novel was his rebuke. 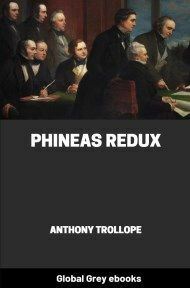 It dramatises how that greed and dishonesty pervaded the commercial, political, moral, and intellectual life of that era. 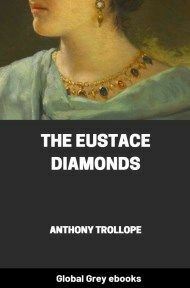 It tells the story of Augustus Melmotte, a financier with a mysterious past (he is rumoured to have Jewish origins, and it is later revealed that he owned a failed bank in Munich). When he moves his business and his family to London, the city's upper crust begins buzzing with rumours about him — and a host of characters ultimately find their lives changed because of him. I have taken care that you shall have the early sheets of my two new volumes to-morrow, or Saturday at latest, so that you may, if so minded, give a poor struggler like myself a lift in your next week's paper. Do give a poor struggler a lift. You and I have so much in common, and I have ventured to flatter myself that we are really friends! I do not flatter you when I say, that not only would aid from you help me more than from any other quarter, but also that praise from you would gratify my vanity more than any other praise. I almost think you will like my "Criminal Queens." The sketch of Semiramis is at any rate spirited, though I had to twist it about a little to bring her in guilty. Cleopatra, of course, I have taken from Shakespeare. What a wench she was! I could not quite make Julia a queen; but it was impossible to pass over so piquant a character. You will recognise in the two or three ladies of the empire how faithfully I have studied my Gibbon. Poor dear old Belisarius! I have done the best I could with Joanna, but I could not bring myself to care for her. In our days she would simply have gone to Broadmore. 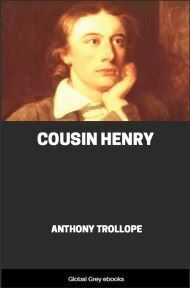 I hope you will not think that I have been too strong in my delineations of Henry VIII. and his sinful but unfortunate Howard. I don't care a bit about Anne Boleyne. I am afraid that I have been tempted into too great length about the Italian Catherine; but in truth she has been my favourite. What a woman! What a devil! Pity that a second Dante could not have constructed for her a special hell. How one traces the effect of her training in the life of our Scotch Mary. I trust you will go with me in my view as to the Queen of Scots. Guilty! guilty always! Adultery, murder, treason, and all the rest of it. But recommended to mercy because she was royal. A queen bred, born and married, and with such other queens around her, how could she have escaped to be guilty? Marie Antoinette I have not quite acquitted. It would be uninteresting;—perhaps untrue. I have accused her lovingly, and have kissed when I scourged. I trust the British public will not be angry because I do not whitewash Caroline, especially as I go along with them altogether in abusing her husband. This letter was addressed to Nicholas Broune, Esq., the editor of the "Morning Breakfast Table," a daily newspaper of high character; and, as it was the longest, so was it considered to be the most important of the three. Mr. Broune was a man powerful in his profession,—and he was fond of ladies. Lady Carbury in her letter had called herself an old woman, but she was satisfied to do so by a conviction that no one else regarded her in that light. Her age shall be no secret to the reader, though to her most intimate friends, even to Mr. Broune, it had never been divulged. She was forty-three, but carried her years so well, and had received such gifts from nature, that it was impossible to deny that she was still a beautiful woman. And she used her beauty not only to increase her influence,—as is natural to women who are well-favoured,—but also with a well-considered calculation that she could obtain material assistance in the procuring of bread and cheese, which was very necessary to her, by a prudent adaptation to her purposes of the good things with which providence had endowed her. She did not fall in love, she did not wilfully flirt, she did not commit herself; but she smiled and whispered, and made confidences, and looked out of her own eyes into men's eyes as though there might be some mysterious bond between her and them—if only mysterious circumstances would permit it. 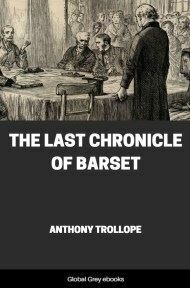 But the end of all was to induce some one to do something which would cause a publisher to give her good payment for indifferent writing, or an editor to be lenient when, upon the merits of the case, he should have been severe. Among all her literary friends, Mr. Broune was the one in whom she most trusted; and Mr. Broune was fond of handsome women. It may be as well to give a short record of a scene which had taken place between Lady Carbury and her friend about a month before the writing of this letter which has been produced. She had wanted him to take a series of papers for the "Morning Breakfast Table," and to have them paid for at rate No. 1, whereas she suspected that he was rather doubtful as to their merit, and knew that, without special favour, she could not hope for remuneration above rate No. 2, or possibly even No. 3.